Back in September, I wrote an article detailing why I’m excited for the upcoming Joker standalone movie starring Joaquin Phoenix. So, if you want to check that out before diving into this one, you can go ahead and click here. With director Todd Phillips releasing the first official poster and the first teaser trailer dropping online, I thought it was time to add on to my hype. Quick recap for anyone who didn’t read my original article, I’m totally on-board for this movie (and I’m not even a big fan of the character). 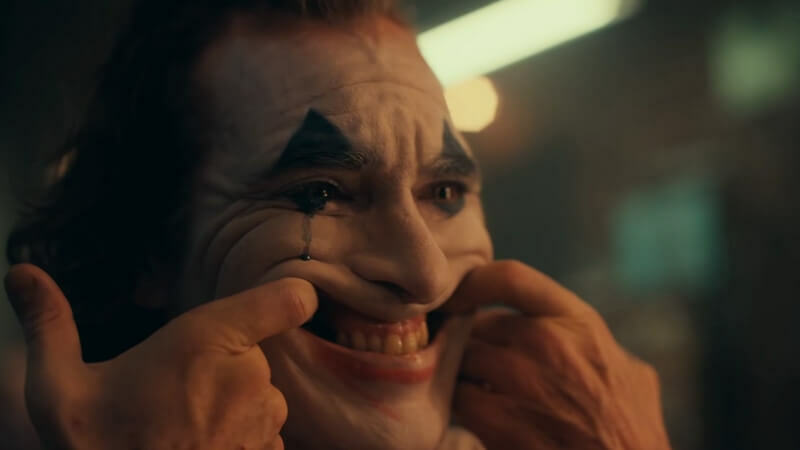 I think the tone that Todd Phillips is going for is perfect and Joaquin Phoenix is almost guaranteed to “crush” it as the clown prince of crime. One of the few things I wasn’t a fan of was the clown make-up for Arthur. At the time, I found it to be fairly “meh”. I gotta admit, I think I’m warming up to the creative style for this Joker. He looks absolutely disturbing and if they went with the traditional Joker look, I could easily see people saying that Phoenix was just copying Heath Ledger’s version of the character. With the poster and trailer now out there for everyone on the internet to see, we can tell that Todd Phillips and Joaquin Phoenix are going for something truly different. This doesn’t look like a classic supervillain tale or even an anti-hero story like Venom. 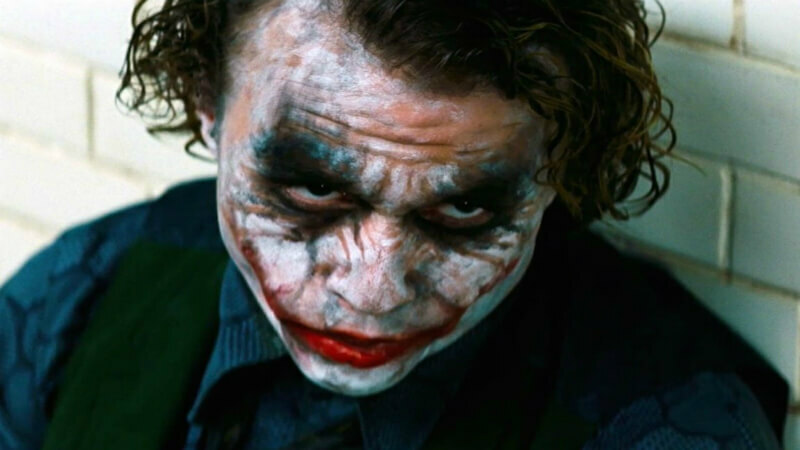 Like we’ve heard from many of the people who have worked on the film, Joker looks to be a cautionary tale about a man who is pushed beyond his breaking point. 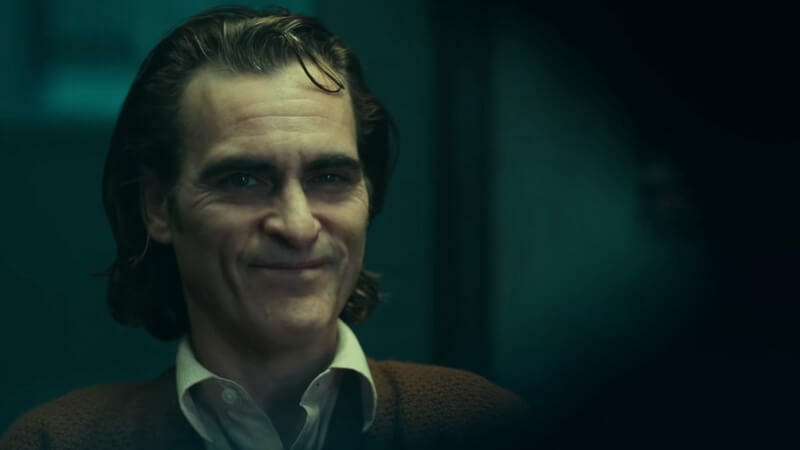 Joaquin Phoenix just has this creepy vibe about him in every single scene. His slender look and off-putting smile add to the sinister tone Todd Phillips wants for Joker. From what I’ve seen via the teaser and the set videos that have leaked over the past few months, I would probably compare Joker to 2014’s Nightcrawler starring Jake Gyllenhaal (minor spoilers ahead for Nightcrawler). Gyllenhaal plays Louis Bloom, a detestable human being who cons his way into photojournalism. 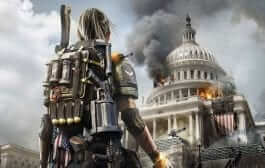 This is a film that never tries to portray the protagonist in a noble or even a likable light. He consistently ruins the lives of people around him so he can climb higher up the food chain. Nightcrawler also has a message to tell about what is ethical in the journalism field. 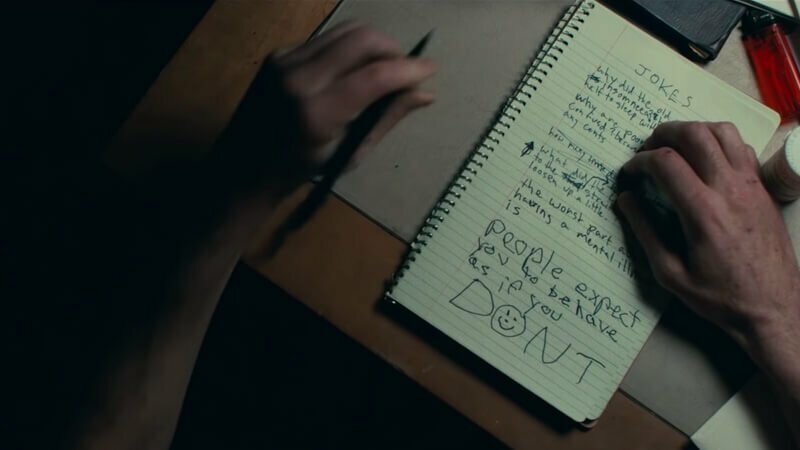 I believe that Joker could learn and adapt a few things from the 2014 thriller. The teaser trailer hints that Arthur Fleck is dealing with a few mental health problems and his relationship with his mother (played by Frances Conroy) is…let’s just say it’s really weird. Throughout the teaser we see Arthur visit a therapist to talk about his problems and the Arkham Medical Center. Mental health is an extremely important issue that should be taken more seriously in my opinion. It’s also a touchy subject that could cause some serious backlash if Phillips handles it poorly. I’m not advocating for Joker to be just a movie with a message about mental health. In all honesty, I find movies with all message and no real story to be quite boring. It’s fine if you like movies like that though. It’s just one guy’s opinion. Although I believe it shouldn’t beat me over the head with a message, I do feel like this could add another compelling layer to the narrative. However, the Joker is still a villain and we as the audience have to see that by the time the final credits roll. For me, the key to Joker’s success is that balance between sympathy and intense discomfort. I want to feel sorry for Arthur due to his harsh backstory while still realizing that he is turning into a monster hellbent on causing chaos. 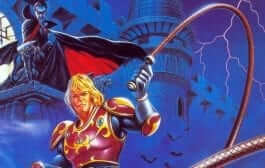 And from what I’ve seen so far, that’s exactly what the movie is aiming to do. Being apart from the DCEU drastically helps and hurts this movie. Hold on. That’s a little confusing. Let me explain. The fact that Phillips doesn’t have to worry about incorporating any Justice League member or adding onto the world is a big-time plus. All he and his team have to do is worry about crafting this standalone, Elseworld-like, story. On the other end, this could actually hurt the DC Cinematic Universe of films in the long run. Especially if Joker ends up being a hit with critics and/or fans. Joker is taking place in the 1980s and Bruce Wayne is still a kid around this time. His father, Thomas Wayne, is actually a huge part of the movie as well. So we know that Batman is a long ways away at this point. If Joker is a commercial darling, will DC continue to delve into Phoenix’s version of the character more? If so, how and what would this mean for future Elseworlds story arcs like this? It’s all purely hypothetical and not worth fully exploring just yet. 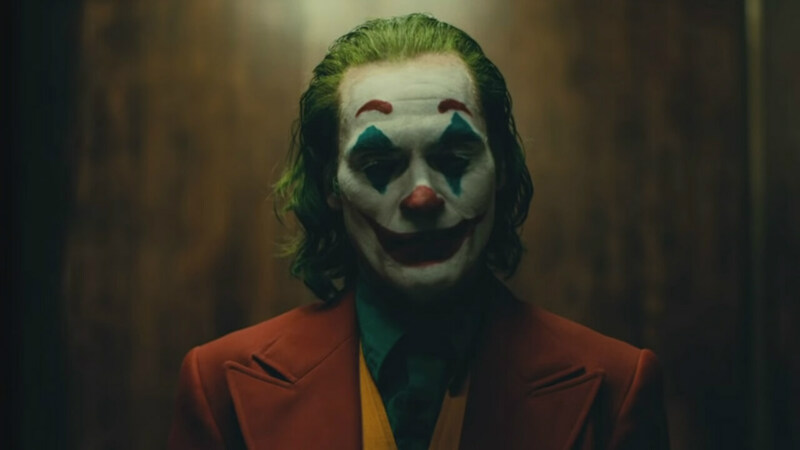 Joker doesn’t hit theaters until October after all and we’ll most definitely see a lot more from this movie leading up the release. Like I mentioned in my first opinion piece about this subject, I thought that Venom was very important to Joker’s potential success. If it bombed at the box-office, I wouldn’t be anywhere near as optimistic as I am now. But, I think audiences have spoken with their wallets. They just want to have a good time at the movies. They don’t particularly need a fancy cinematic universe with a dramatic team-up on the horizon or a boy-scout hero who throws out consistent one-liners to be a big box-office draw. My main concern is still who is going to be our foil to Phoenix’s Joker, if anyone at all, and how Phillips is going to handle Arthur Fleck’s descent into madness. Surprisingly enough, I think Joker has a chance to be one of DC’s most successful movies to release in a while. Which is crazy when you realize that DC has dropped Batman vs. Superman and a Justice League team-up over the last few years. Hopefully, Joker turns out to be better than those two trainwrecks. Joker hits theaters October 4th, 2019. What are your thoughts on the Joker standalone movie so far? 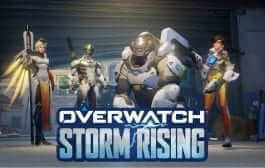 Did you like the teaser trailer? If the movie succeeds, do you think DC will continue to make these Elseworld types of movies? Let us know in the comments below!